The Civic Council of Popular and Indigenous Organizations of Honduras (COPINH) is an Indigenous Lenca organization made up of 200 Lenca communities in the western Honduran states of Intibuca, Lempira, La Paz, and Santa Barbara. COPINH was born in 1993 when the Indigenous and popular movements in the Honduran state of Intibuca came together to stop logging and advance popular struggles. Today, COPINH encompasses 4 states in western Honduras and struggles for the rights of the Lenca people, including environmental, cultural, economic, social, health, education, and Indigenous rights. COPINH defends the Lenca territory and our natural resources as part of our Lenca cosmovision of respect for Mother Earth. 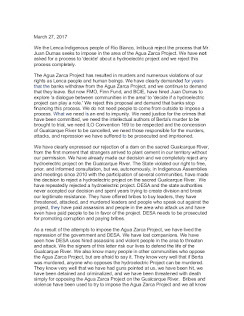 For over 20 years, the Lenca people organized in COPINH have defended our communities and natural resources from logging, dams, mining projects, and other megaproyects that would destroy our way of life and environment. We have stopped at least 50 logging projects that would have deforested our land and forests and 10 hydroelectric dams that threatened Lenca communities, including the huge Tigre Dam project on the border of Honduras and El Salvador. Together with other Indigenous organizations we successfully pressured that the Honduran government to ratify ILO Convention 169 on the Rights of Indigenous People, which includes the right to free, prior, and informed consultation of Indigenous communities about projects that affect us. COPINH has also successfully fought for the creation and funding of health centers and schools in Lenca communities. COPINH has also worked to obtain communal land titles for Indigenous communities as a way of defending our territory and natural resources from incursion and destruction. We have won over 100 communal land titles, which are governed by community land councils, as well as the creation of 2 Indigenous municipalities and the declaration of protected zones to prevent logging. Through General Assemblies COPINH has also taken a strong position on women´s rights and works to address machismo and promote respect for leadership of women in our communities and organizations. 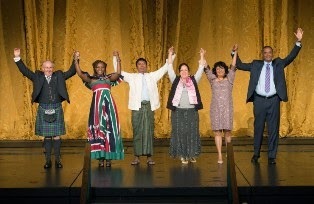 COPINH acts in solidarity with many other struggles and is active in national and international struggles and networks. 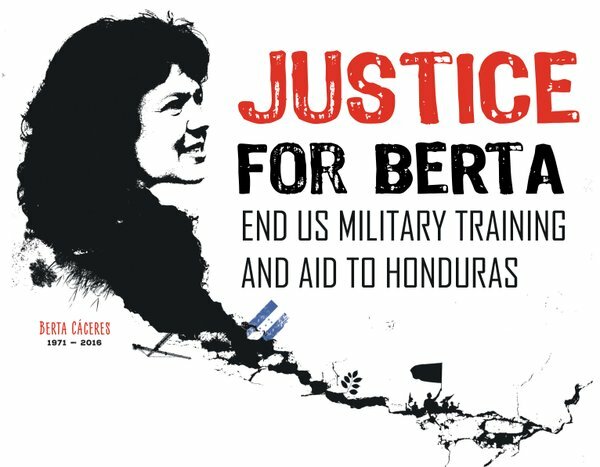 In 2009, a military coup removed Honduras´ president and ushered in an era of repression, militarization, violence, and repression of social movements. Those who seized power following the coup have set about imposing an extreme right-wing neoliberal agenda, especially the privatization and selling off of Honduras´ natural resourches to corporations for profit. A new Military Police has been created in addition to the police and military which already patrol the country, and these security forces in addition to private hitmen are used to terrorize and murder those who defend our natural resources and communities from being plundered and destroyed. COPINH struggles for life, for defense of Mother Earth, for Indigenous autonomy, and for a world where the rights as Indigenous people and all people are respected. Great news! 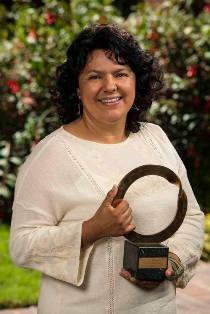 Film about 2015 winner #BertaCaceres wins prize at @myhero film festival. Mother of All Rivers from Mill Valley Film Group on Vimeo. "They fear us because we are fearless"